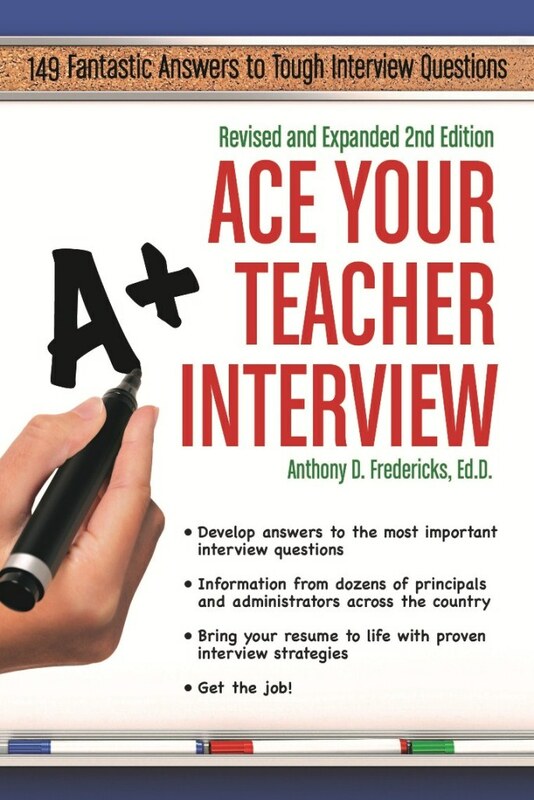 Ace Your Teacher Interview provides readers with inside information on how to prepare for interviews, various interview formats, and how to handle tricky questions. 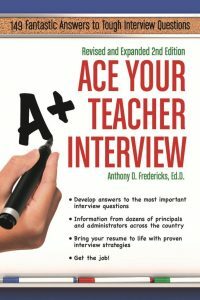 Ace Your Teacher Interview provides readers with inside information on how to prepare for interviews, various interview formats, and how to handle tricky questions. Readers discover a creative range of inside information on what impresses interviewers and makes you stand out as a candidate. In a witty and informative manner, Fredericks generously shares the time-tested strategies that will get you hired. Revised – Eleven new questions and answers to reflect the most current educational trends like Common Core, Standards-based teaching, and more. Revised – Updated information on dress codes and reviewed and revised all questions and answers. Expanded – Readers will find a Preface, Personal Checklist, Web Resources, and Resources for Teachers and Teachers-to-be, and Resume Tips, only in this new revised and expanded edition. Dr. Fredericks has participated in numerous interviews from both sides of the desk. He has assembled the wisdom and experience of scores of seasoned educators. This book is an all-in-one sourcebook of teacher interview questions, paired with the best responses.